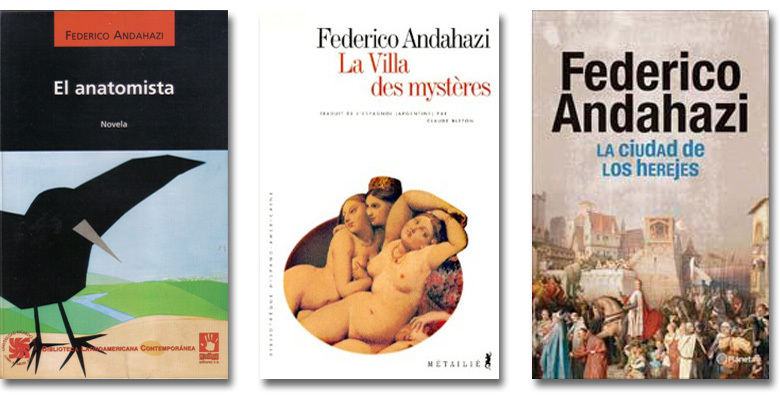 Federico Andahazi was born in Buenos Aires, Argentina, at Congreso, a centrally located neighborhood. 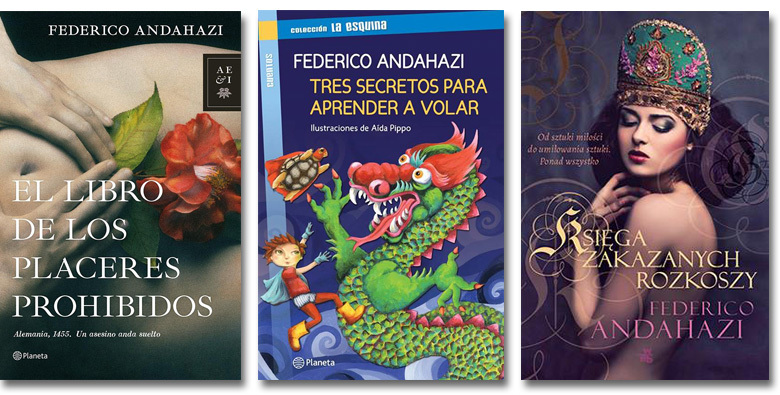 He is one of the Argentinean authors who have been translated to more languages across the World. His books were published by the most prestigious publishers companies. In the United States, he has been published by Doubleday, in England by Transworld, in France by Laffont, in Italy by Frassinelli, in China by China Times, in Japan by Kadokawa, in Germany by Krüger and dozens of publishing houses from different countries. He gave lectures in prestigious institutions like the Journalism and Communication Sciences College of the University of Moscow, Russia, and the University of Santos Ossa of Antofagasta, Chile. He also gave conferences in Stockholm, London, Paris, Istanbul, among other cities of Europe, Latin America and The United States. He had participated in literary congresses in France, Finland, and several cities in Spain among others. He was invited to numerous book fairs such as Guadalajara, Moscow, Pula, Istanbul, Madrid, Barcelona and, of course Buenos Aires and to almost all that were celebrated in Argentina. 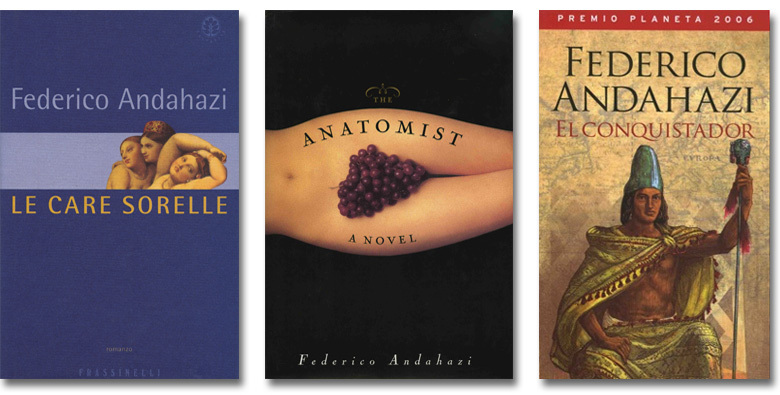 His work has the international critics respect and his books are subject matter for many reviews and studies. 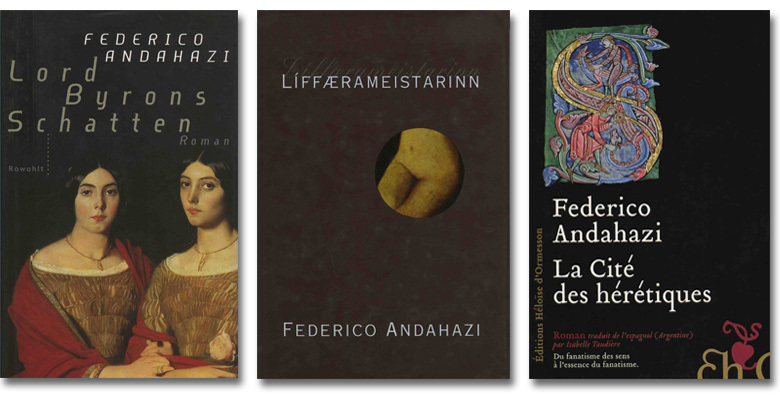 Federico Andahazi is the son of Bela Andahazi, Hungarian poet and psychoanalyst, and Juana Merlín. During his youth, he began reading the Argentinean and universal classic authors. He used to run away from school, a fact that shows the oppressive dictatorship time, to meet friends in bookstores and bars at Corrientes Avenue, an emblematic Buenos Aires culture place. By those years he began writing his firsts short stories. He finished a bachelor’s degree in Psychology (Universidad de Buenos Aires), and worked as a psychologist for few years, while he worked on his short stories. In 1989, he finished his first novel El oficio de los santos, which – for an author decision- is still unpublished. In 1996, he won the Segunda Bienal de Arte Joven de la Ciudad de Buenos Aires First Prize with his short story "Almas misericordiosas". The same year he received the Concurso Anual desde la Gente First Prize with his short story "El sueño de los justos". To the end of 1996, he won the CAMED Prize with the short story "Por encargo". 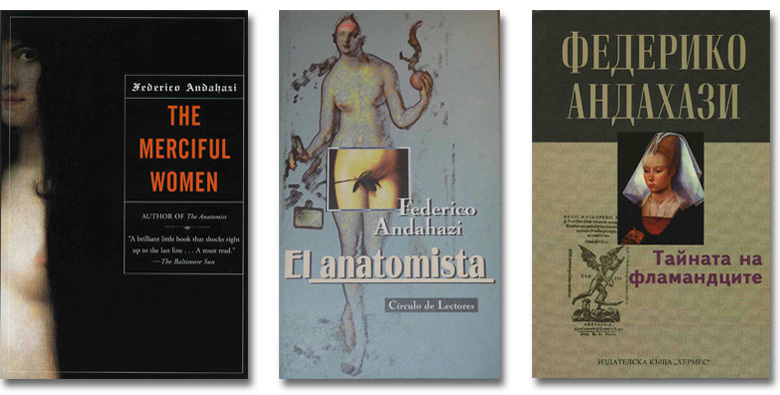 In 1996, while he was one of the Planeta prize finalists, his novel The Anatomist won the the Fundación Fortabat prize. However, the mentor of the contest, Amalia Lacroze de Fortabat, announced her disagreement with the unanimous jury decision in a public request note published in all Buenos Aires newspapers. There, she said that the novel “did not contribute to exalt the highest values of the human spirit”. The jury, composed by important writers like María Angélica Bosco, Raúl Castagnino, José María Castiñeira de Dios, María Granata y Eduardo Gudiño Kieffer, was disqualified by the authoritarian attitude of Mrs Amalia Lacroze de Fortabat. After the scandal that her attitude caused, the literary contests organized by her Foundation have never been done again. This unfortunate episode showed that the diffusion of art and culture may not be the true objective of her Foundation. 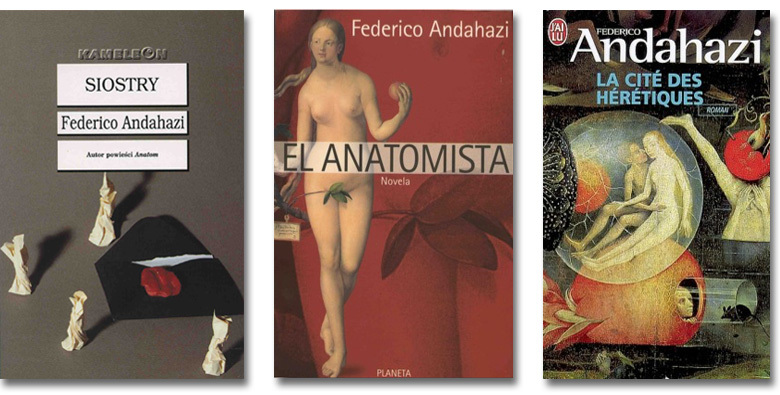 Finally, The Anatomist was published by Editorial Planeta in 1997 and then was translated into over thirty different languages and has sold millions of copies worldwide. His second novel, The Merciful Women, was published in 1998. 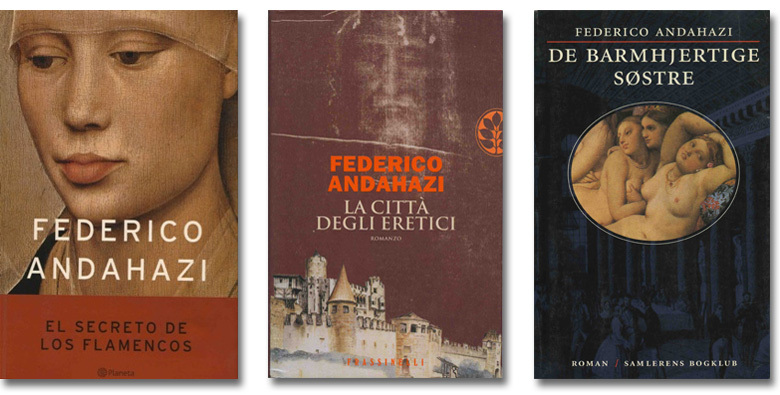 Located in the summer of 1816 at Villa Diodati, this book displays a modern and ironic vision of Gothic genre, discovers unsuspected regions of sexuality and immerses the reader in a troubling enigma. 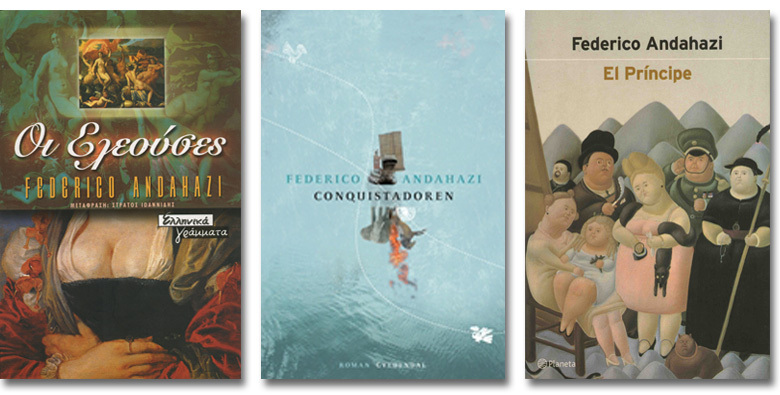 In 1998 the Publishing House Temas published a small volume with some of the short stories awarded titled El árbol de las tentaciones. 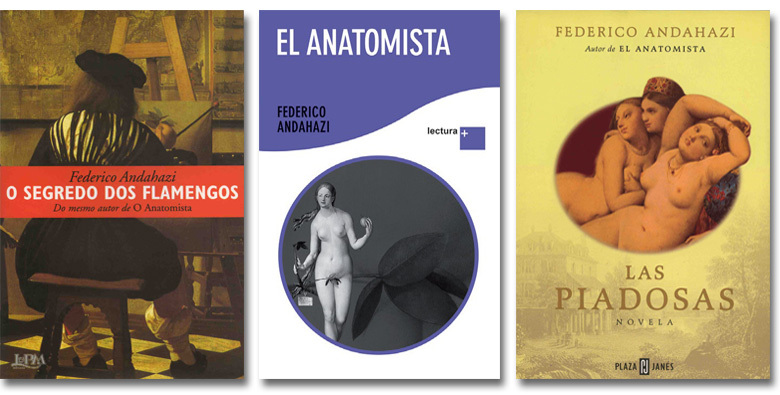 There are three short stories that have the same beginning and that are situated in similar settings (the last century in Argentina). Then, in 2000, he published El príncipe. 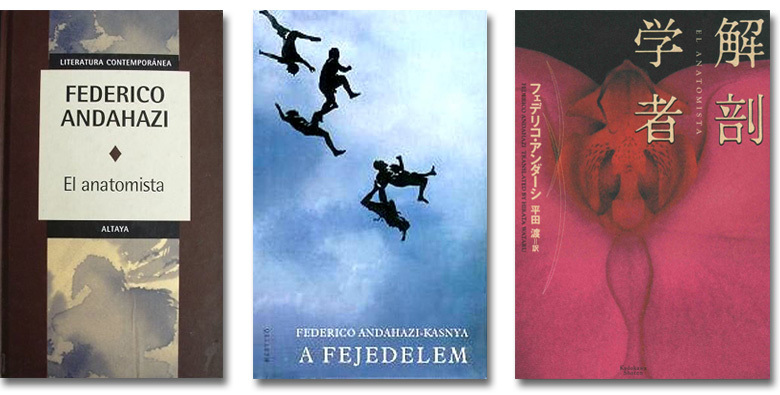 It is a novel inspired in the tradition of magical realism. Andahazi knew how to create an apocalyptic atmosphere to talk about the excesses of power and manipulation of people’s wills. 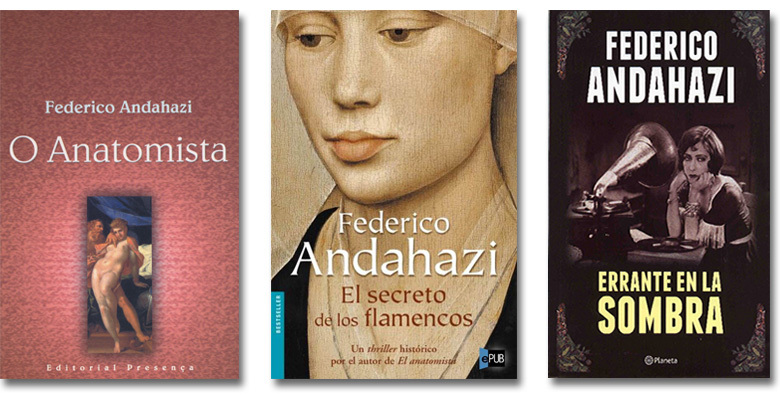 In 2002, he published El secreto de los flamencos, a masterful novel set at the beginning of the Renaissance. It is about the war for the perfect technical of painting. The story is about the mathematical secret of perspective and the mystery of colors. 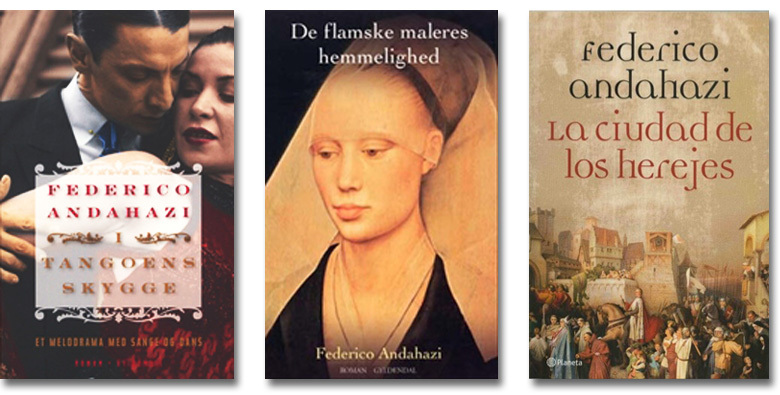 The confrontation between the Flemish and Florentine schools gives shape to a thriller plot full of fascinating riddles. 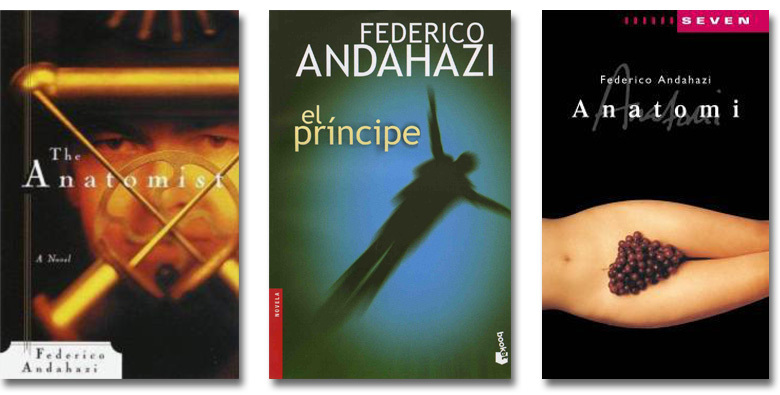 Errante en la sombra was published in 2004. It is an original musical novel presented to the reader as a spectacle in front of which, he can 'see' and 'listen' to the story that takes place in a Buenos Aires that once was reality and now is a legend. Andahazi wrote more than forty tangos to give shape to this original story in which Carlos Gardel takes part. During the summer of 2005 Andahazi and his readers worked in an interesting and original experience, in fact, the first of this kind in the world: the collective writing of a newspaper serial called Mapas del fin del mundo published by the newspaper Diario Clarín. The author wrote the beginning and the readers continued the story, creating characters, proposing plots, solving riddles, and all this by e-mail. Therefore, in an unprecedented work, reading and answering thousands of e-mails per week, Andahazi built the story with the different points of view. Every Saturday a new chapter was added to the novel, increasing the participation and the expectation of readers that had became co-authors. 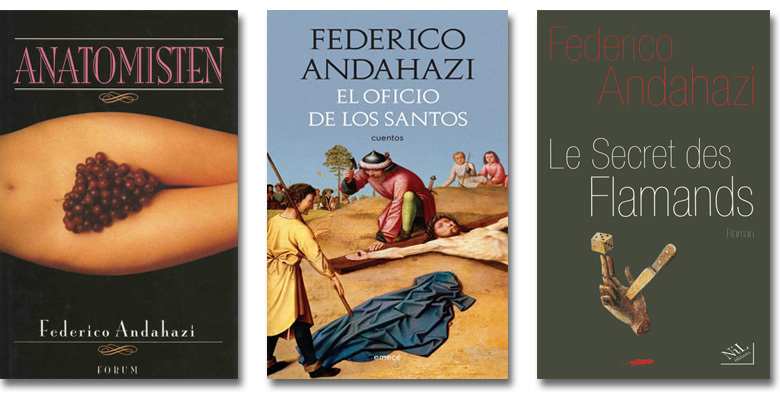 The same year, in 2005, was published La ciudad de los herejes, a novel situated in medieval France, which researches the Shroud of Turin origin. In this scenario, the author describes how the Church and the Feudalism by means of its dark mechanisms establish sordid methods of control and oppression to build a new idolatry against which they say they fight. 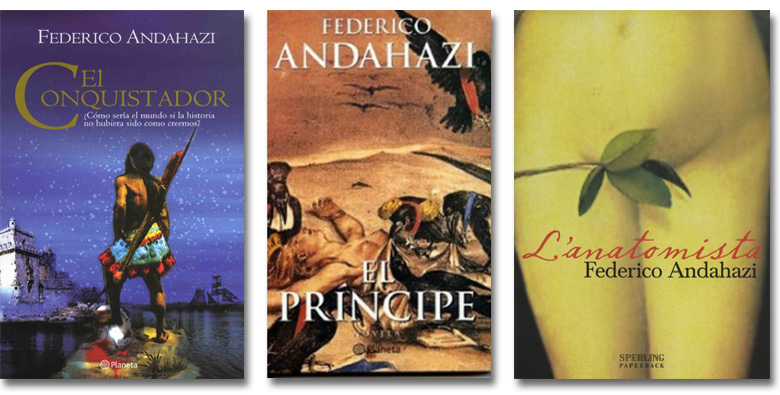 In 2006, Federico Andahazi won the Planeta Prize with his novel El conquistador. The jury decision was unanimous. El conquistador is the story of Quetza, the wisest son of Tenochtitlan, who getting ahead Christopher Columbus discovers a new continent: Europe. Las palabras pueden: Los escritores y la infancia (2007, to UNICEF and World Food Program) with authors like José Saramago, Carlos Fuentes, Ernesto Sábato, Juan Gelman, Mario Benedetti and Mario Vargas Llosa. Líneas aéreas (1999, published by Lengua de trapo, Spain) with writers such as Jorge Volpi, Santiago Gamboa and Edmundo Paz Soldán. A Whistler in the nightworld, short fiction from the Latin Americas (2002, published by Plume, USA) Laura Restrepo and Ángeles Mastretta among others. La Selección Argentina (2000, published by Tusquets).El libro de los nuevos pecados capitales (2001, Grupo Editorial Norma). He also took part in the book Homage to Diego Maradona (2001, SAF) in the prestigious company of Roberto Fontanarrosa and Pacho O'Donnell. 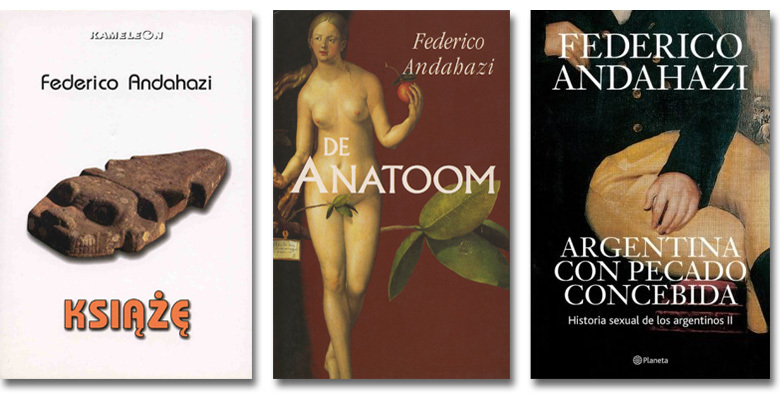 In 2008, Andahazi published his first nonfiction work, Pecar como Dios manda, Sexual History of Argentineans. The essay is based on a hypothesis: It is impossible to understand the essence of a society without understanding the web of sexual relations that organized it. With a prose that remember us his novelist skill, in this first volume, the author began an exhaustive investigation from pre Colombian time to the May Revolution. 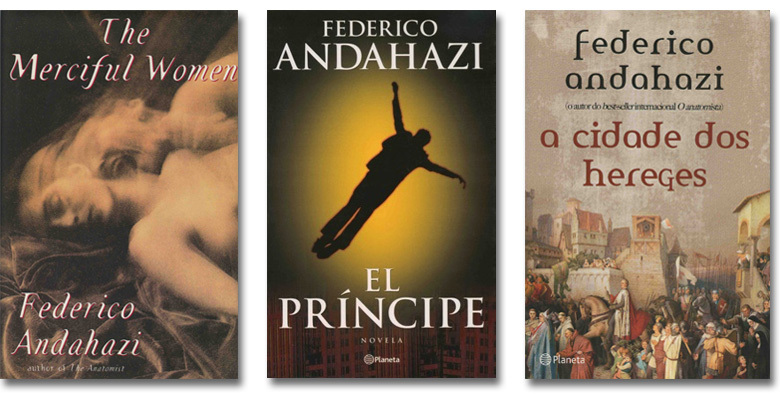 Argentina con pecado concebida is the second volumen, published in 2009, Andahazi exposes the new moral standards arising for the May Revolution until the coup d’État of 1930. All this through the most iconic founding figures. 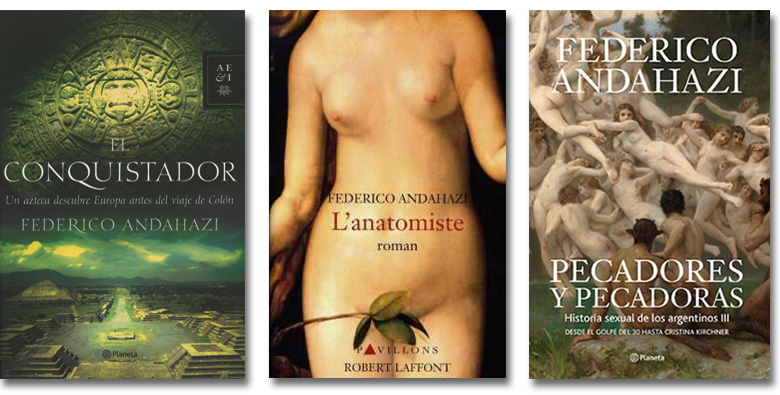 With Pecadores y pecadoras, published in late 2010, Andahazi completes the series of Sexual History of Argentineans. In this third volumen the autor sheds light in the amazing plot that has woven the History between politic and sexuality since the coup d’État of 1930 to Cristina Kirchner. 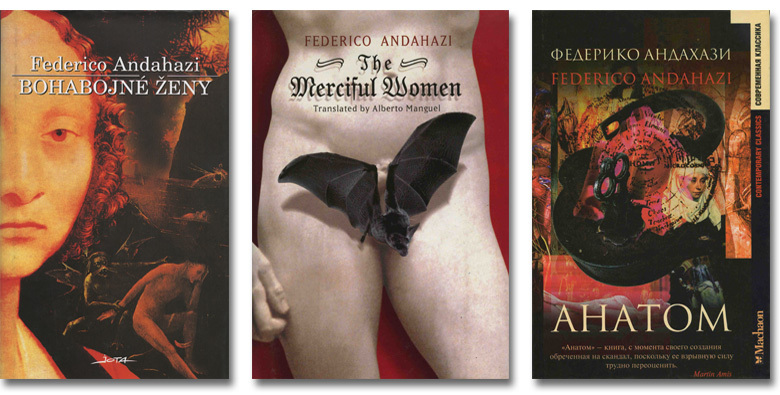 In november 2012 Federico Andahazi published The Book of the Forbidden Pleasures, police novel that turns around Gutenberg's figure and uncovers a series of murders of women devoted to pleasure in a mysterious convent. The book reconstructs the numerous indictments Gutenberg received about his invention: the printing press. Was Gutenberg a brillant inventor or a forger whose crimes remained hidden to the present day? 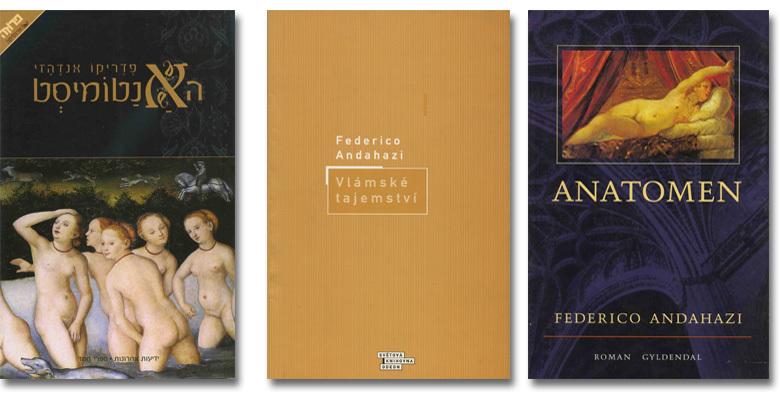 In 2015 Andahazi published his most intimate and personal novel The lovers under The Danube. The novel unfolds between the fuzzy limits of love, hate and revenge in the dramatic setting of the Nazi occupation of Budapest and then continues in Argentina where the drama will return to stalk the protagonists. In 2009 The Anatomist was taken to the stage with Luciano Cazaux adaptation and directed by José maría Muscari at the Regina Theatre, it stayed more than a year with great presence of public and critical acclaim. Directed by Adrián Blanco and with the Musical Direction of Daniel Iacovino, Errante en la Sombra, the theater adaptation of the novel of Federico Andahazi was taken to the stage in 2015. First at the Centro Cultural San Martín and then at the Teatro 25 de mayo. Critics point out that Errante en la sombra is destined to became the great Musical-Drama of Buenos Aires.